The Cameron community celebrated cultural diversity during its 7th Annual International Student Scholarship Banquet at 6 p.m. on Oct. 3 in the McCasland Ballroom. 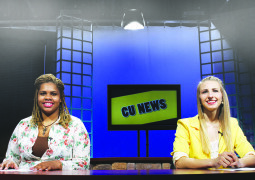 Cameron University International Club hosted the event, which sought to bring the world to the university. It began seven years ago under the direction of former International Student Admissions Coordinator Marcella Gustafson. Clara Lundgren took the helm after Gustafson retired in June. Coming into the event, Lundgren said she was nervous but looking forward to her first banquet. The event featured a mix of multicultural entertainment, cuisine and decor along with a silent auction of various international items. The proceeds from the silent auction went to the international student scholarship fund. Lundgren said fundraisers such as this one are vital to helping international students come to and stay at Cameron. More importantly to her, the event is about bringing a slice of various cultures around the world to the Cameron University community. While the scholarships are a perk for the international students, according to Lundgren, domestic students had the potential to leave with more than just a positive experience. Junior Biology major Agnes Ajose, president of the International Club, said that these events also have a benefit for international students. According to Ajose, the Lawton community responded positively to the event. “I think the event went great and the audience loved it,” she said. The event began with an introduction from junior Business Administration major Waheed Gbadamosi, the emcee of the event, and a welcome from Cameron President Dr. John McArthur. After Gbadamosi and McArthur’s opening remarks, the audience partook in a variety of international foods – from Caribbean jerk chicken and beef lo mein to jollof rice and baklava. The audience had a literal buffet of multicultural cuisine from which to choose. As the audience finished their meals, guest speaker Miracle Akinwale, the first president of the Nigerian Student Association, addressed the crowd. He spoke about the importance of college education and encouraged the audience to strive for their success. An introduction of the 2014-2015 International Club Executive Board followed Akinwale’s speech, followed by the presentation of the year’s International Club Scholarship recipients. The presentation of scholarships was followed by the evening’s assortment of international entertainment. 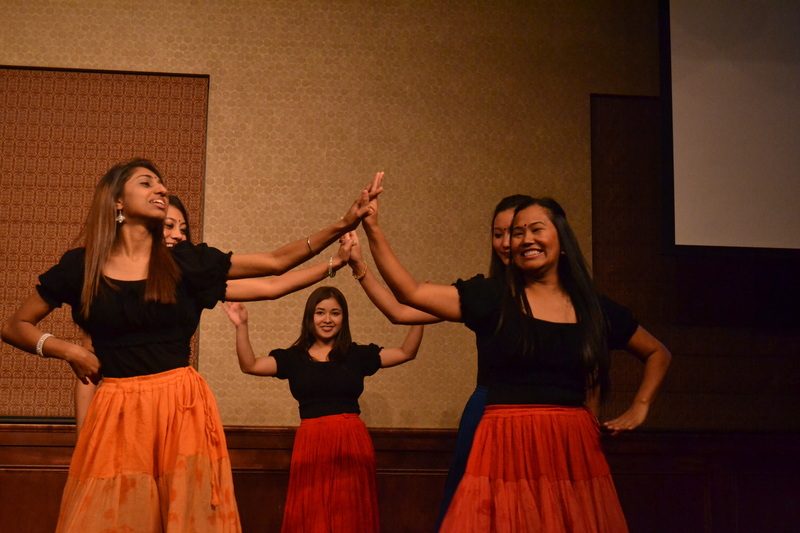 From traditional Nepali and Hawaiian dances to vocal performances from various international students, the crowd had many opportunities to immerse themselves in various cultures. Ajose said this cultural immersion could teach both domestic and international students a variety of lessons.